Google Street View is an incredibly useful tool that allows users to view maps from the perspective of being within the environment. You can examine what the buildings look like and what is nearby, making it significantly easier to navigate once getting there in real life. 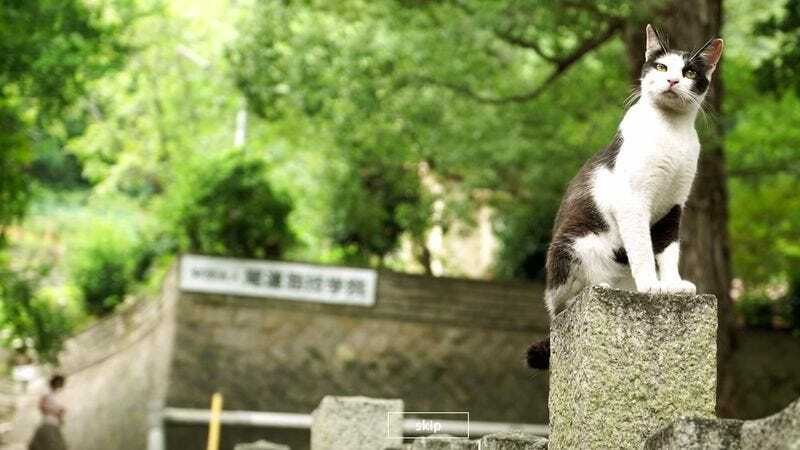 But Google Street View for cats, which has been developed and put online by the tourism board of Hiroshima, doesn’t serve quite the same practical purposes. According to The Wall Street Journal, the website was developed to give a fun perspective on neighboring city Onomichi, still providing useful information about shops and restaurants, but all from a cats-eye perspective. The site even features 11 real local cats with information about their background. Playing around with the site, there are numerous cute points that are earned. It features sound with occasional meows while you move around, and the cursor is a cat’s paw. If you’re so into cats that you’ve maybe secretly wanted to be a cat, this might be as close as you get.